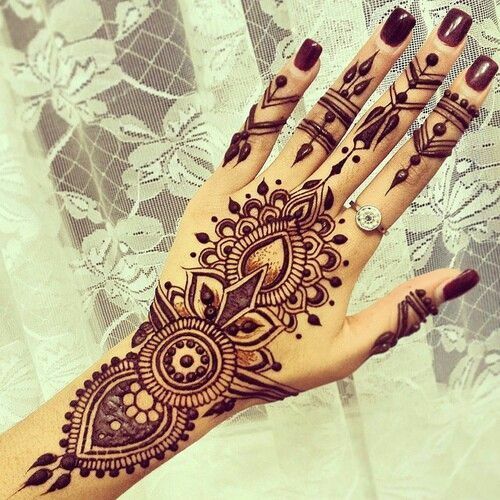 Check out 15 simple yet elegant mehndi designs for a gorgeous look. Celebrate life and it’s festivals in style! Wearing mehndi is considered an auspicious ritual during festival time. Mehndi design is a symbol of good luck. Typically, mehndi design lasts for 2 weeks. Besides, it has become quite a style statement in recent times as its application is completely painless, safe, and can be done at home. A lot of us also experiment with styles, patterns, and motifs. Peacocks, flowers, paisleys, mesh, dots, lines, bride-groom pictures and even quirky themes such as the moon, sun and stars look pretty on hands and feet. Different mehndi designs depict different meanings across festivals. For instance, bridal and karwa chauth mehndi designs are intricate while one usually opts for simple Indian designs or Arabic style mehndi for less formal occasions such as Diwali, Teej, Eid and the likes. 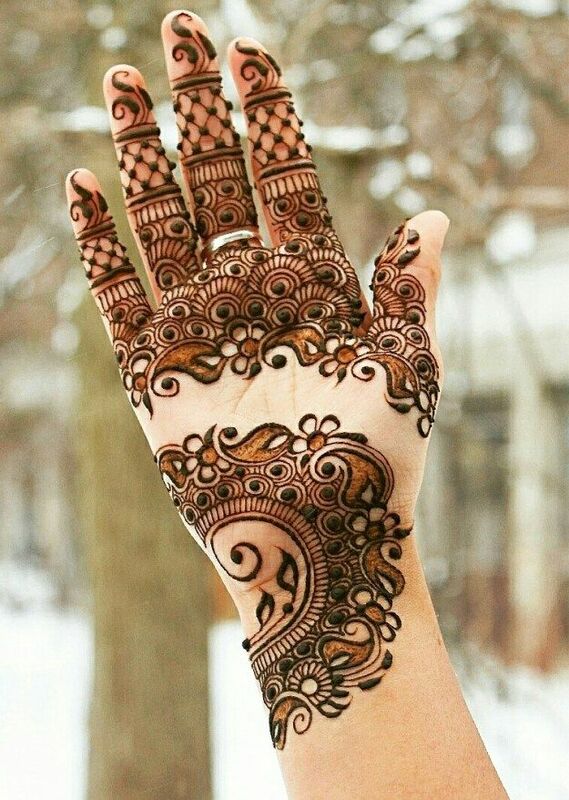 During Indian wedding time, the bride gets to beautify her hands and feet with mehndi, this entire process takes at least 2-3 hours depending upon the complexity of the design. Besides, bridal mehndi is done on full hands and feet (including half legs) and sometimes till the shoulder line. The other family members, such as the bride’s mother, sisters, aunts, and bridesmaid, they all participate too. While, the bride gets to go for the prettiest and the most elaborate design for her hands and feet, the other attendees usually go for simpler styles. Hands dressed with lovely designs and patterns, the ladies sing, dance and enjoy themselves. That’s why this pre-wedding festival is celebrated as the mehndi night. If you are planning to attend a wedding anytime soon, then here are a few images for you to draw your inspiration from. Petal designs, flowery patterns, zig-zag patterns, swirl, and twirls, they are all quite simple yet elegant. So, take a look at 15 charming and pretty mehndi designs which are simple and sophisticated. Try them on this Eid, Teej, Karwa Chauth, Diwali or just about any time of the year. The idea is to enjoy.. It’s so much better if we celebrate life with our hands decorated in style. Isn’t it?